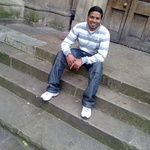 I am sridhar, a Web Developer with knowledge of many Web programming languages. The services I offer range from PHP Web Development to full scale CMS Web development. I can...Read moreI am sridhar, a Web Developer with knowledge of many Web programming languages. The services I offer range from PHP Web Development to full scale CMS Web development. Sridhar is excellent to work with. Very good communication and he produces exceptional work - exactly what I want. He possesses very good technical skills so I would highly recommend his work!